Don't wear smart glasses? Sony's SmartEyeglass Attach means you might soon. Sony has just debuted the attachable tech, that will work with any existing glasses, at CES 2015 alongside a new stainless steel SmartWatch 3. The set up consists of a 0.23-inch colour OLED single lens microdisplay with a 640 x 400 resolution and a control board which contains the ARM processor, sensor hub, Wi-Fi and Bluetooth 3.0 connectivity. The display module itself is light, just 40g, and there's a 400mAh battery to power the whole thing. As it's technically a concept and not a launch, there's no indication from Sony as to how much this would cost compared to Google Glass. Despite all the impressive miniaturised tech, we'd hope Sony can come up with something that drags the cost down a little. As for looks, it has the potential to rival the Google Glass designer collaborations we've seen over the past year. In other words, less sci-fi but still noticeable and the overall look will depend more on the regular frames you're wearing. 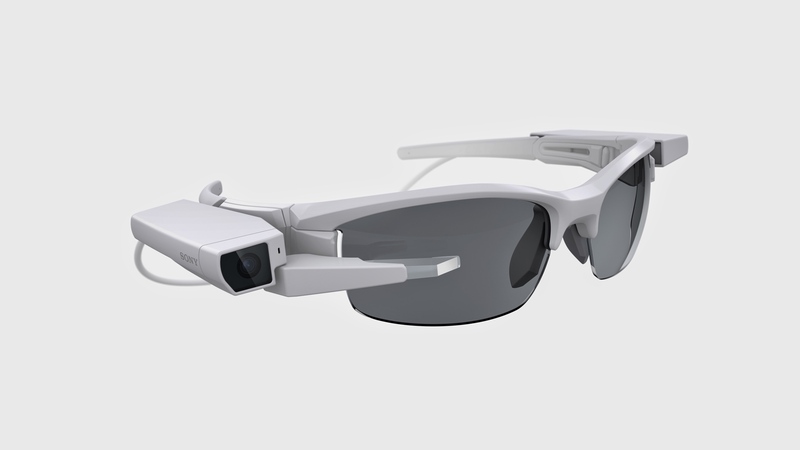 Sony announced at CES that developers will be able to create SmartEyeglass Attach apps for sports and performance as well as apps for its straight Google Glass rival, the SmartEyeglass Developer Edition. Sony's original press release stated that it will begin mass producing SmartEyeglass Attach "within the coming year" and we weren't given any more details on this timeline at CES. Wareable is there so check back for our eyes on first impressions from Sony's CES booth very soon.